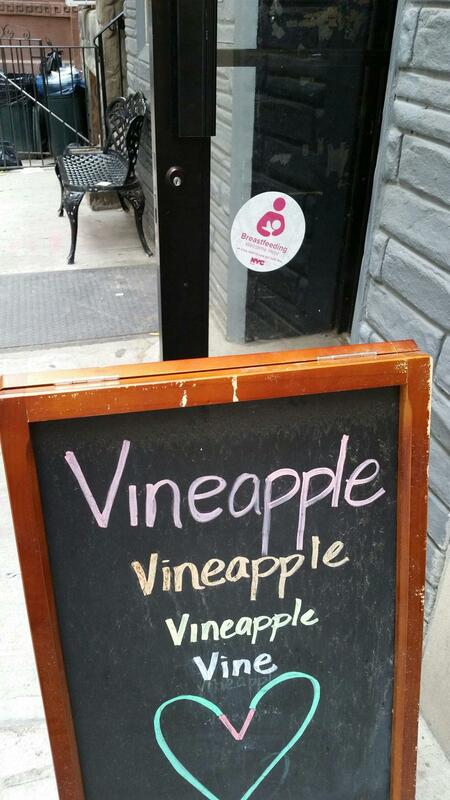 Vineapple is a cozy coffee shop in Brooklyn Heights, New York is a very nursing mother friendly atmosphere. This cafe has a posted sign on front letting nursing moms know they are quite welcome to express breast milk. There are comfortable padded couches toward the back of the store, and nursing moms can be seen rotating in and out with infants and strollers. There are outlets throughout this cafe next to each seating. This is an open breastfeeding environment, so please nurse away. There is also a clean restroom inside however it is unisex, but does lock from inside.